ethan walker : Turning up the heat! Since doing Offspring the other week I was really keen to try Masters of the Universe, E7 6b which is the stunning, hanging arete of the Cioch block. So last week I headed back to the place with bold grit man, Nathan Lee, who was equally syked to give it a go. We went through the moves and got set up for giving it a burn. This is another route were you have to abseil in to start climbing after tying off the ab rope at the bottom to back up the rather rusty looking old bolts! I managed to get the flash in the end, after a brief, spooky moment half way up the arete, with a large beckoning fall looming below! We got some footage of Nathans ascent so have a look. It might be soft for E7 and probably more like E6 but who cares, its another sick route and one that should get more attention! You can also get a good view below of Tom and Ed finishing up this route after doing the traverse on Silent Scream. 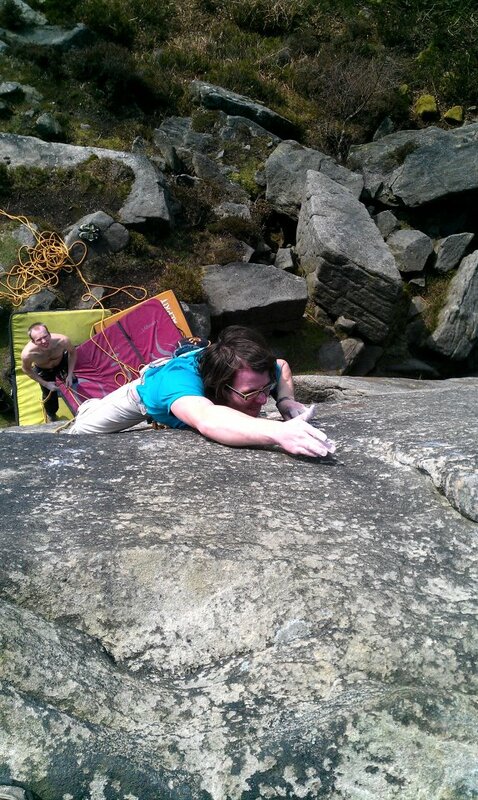 Big up to Ed as well for his ascent of the 8B, Keen Roof, a few days ago. Word up home boy! We seem to have been suddenly hit by an intense heat wave since the start of the weekend but we still kept up the grit trad mission on Saturday and boshed out Poached Salmon, E5 6b at Bamford. Pretty tough in the heat but steady as she goes youth. Today though we decided it was time for some more lime action, so we checked out Squirrel Buttress just up the river from the Tor! 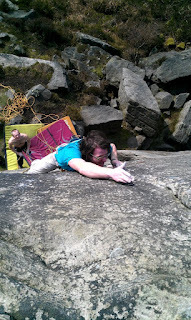 Ed and myself both managed the 7C here, Candy Kaned before blasting over to Crag X and doing another 7C Moffatrocity. Then it was time for a feet up sesh in Bakewell with bread n cheese, chillin with the old people! Got a quick video if anyone is keen for some beta on Candy. Off up Scotland tomorrow for a couple days, building a climbing wall at a school in Edinburgh. Will let ya'll know how that goes. Going for some chocolate digestives now, peace.